As a young boy growing up in the U.K., I never doubted the prestige of the Royal Family and their significance, which goes back hundreds of years. Even with a thriving Parliament which has the final say in all decisions concerning the Union, the Royal Family, headed by Her Majesty Queen Elizabeth II, has always served as a steady certainty in an ever-changing Britain. The tradition and protocol associated with them has been, and still is, iconic, and it’s expected that said protocol should be observed and maintained by all its members for any and all occasions. These occasions can be anything from state visits and ceremonial events at Buckingham Palace to public events where the Family meets its subjects. One such event, filled with all the excitement and splendor fit for a royal occasion, is a royal wedding. This May, Prince Harry, the second son of Prince Charles of Wales and fifth in line to the British throne, will tie the knot with American actress and socialite Meghan Markle. Having earned relative infamy as the wilder of the two young princes, Harry now seems to have calmed down and adopted the stoic qualities expected from a member of the Royal Family. Following a successful career as an actress, the bride-to-be has wasted little time in preparing for life as a Royal. 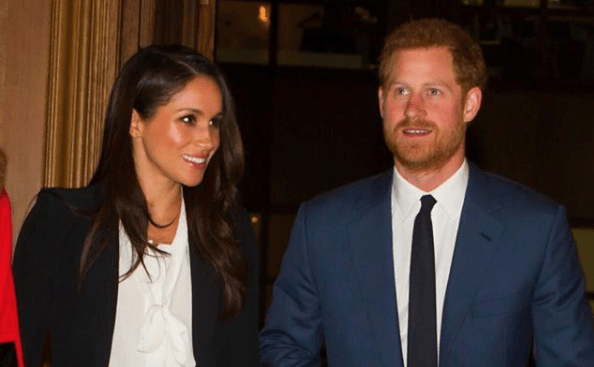 However, on more than a few occasions she hasn’t been afraid to stamp her impending arrival into the family with actions that have either tested or flouted Royal protocol. Her most recent indiscretion was her decision to show up for a formal awards ceremony on Feb. 1 wearing a pantsuit designed by noted British designer Alexander McQueen. Although not necessarily against protocol given that Her Majesty the Queen has worn trousers on an occasion or two, it still went against the habitual dress norm, namely a more formal evening gown. Markle has on more than a few occasions engaged in activities considered par for the course during her acting career back on the other side of the Atlantic Ocean but strictly alien to Royal protocol, such as signing autographs and posing for selfies. Word has it she plans to completely shatter a mould by making a speech at her wedding to Prince Harry this summer. Given the many headlines coming from Markle’s side, it is almost too tempting to assume that she is coming in like a proverbial wrecking ball, and for sure there have been more than a few concerns about her behavior and whether she will be able to seamlessly blend into royal life. Her status as a divorcee has certainly brought about more than a few concerns regarding her baptism into the Church of England, a prerequisite for her marriage. Regardless of these fears, one thing which remains constant is the fact that certain entities, even the most traditional, evolve over time to reflect an increasingly modern society. Markle isn’t the only Royal bride to take a lead in stretching the boundaries of protocol. Harry’s own mother, the late Princess Diana of Wales, embodied the modern princess and strove to make the Royal Family more relatable to the common man and woman. From writing her own wedding vows to taking a hands-on approach to parenting, Princess Diana’s actions earned her the sobriquet “The People’s Princess.” Her sad demise 20 years ago precipitated an outpouring of grief never seen before in the United Kingdom and beyond. Protocol aside, one thing which enabled Diana to continue to enjoy favor from the rest of the Royal family was her enduring love for her husband and children, along with her in-built respect for the Royal Family as an institution which enjoys great significance and influence in the lives of many citizens of the country. Her willingness to stretch or even break certain aspects of protocol in order to enhance the image of the Royal Family in the minds of her subjects is a trait which has been embedded in both her sons, and she was always able to maintain her dignity as a Royal and as a lady even in the face of many difficult moments. As a proud British subject, I have nothing but admiration and respect for the Royal Family and am delighted with their ability and willingness to evolve with changing times. Although Prince Charles looks more likely to succeed Her Majesty the Queen, the future of the Family clearly lies in Princes William and Harry and their actions and decisions will shape its future. And I believe that the most important aspect of an institution like the Royal Family is this: given the awe and respect it inspires among many people, those who join the family will almost certainly be willing to modify their own attitude and behavior in order to ensure enduring harmony. I see Meghan Markle as another in the line of new Royal arrivals who will lend more freshness to proceedings, while also making sure that she does not step out of line when it matters the most. It’s also pertinent to note that there is still some way to go before she and Harry tie the knot in May, and in any case she will be well-advised on how to follow protocol as a Royal. I also believe that when the time arrives, even the most innately rebellious will draw their own lines. If Andre Agassi could defy his own rebellious nature to make an appearance at the Wimbledon Lawn Tennis Championships in 1991 respecting the tournament’s strict all-white dress code, I see no reason why Markle won’t prove to be a welcome and much-loved addition to the Royal Family, pantsuits or otherwise. Princess Diana might have come a generation too early, but in the Duchess of Cambridge Catherine Middleton and now Meghan Markle, I see two ladies who will help usher in a new era where the Royal Family will reach new heights of love and adoration among people of all ages, throughout the United Kingdom and beyond.